We are aware that buying a property is more than just a simple transaction. Our aim is to make your purchase hassle-free by guiding you step by step through the process. Our team of professionals in the field of real estates, insuring and construction offers a full range of real estate services, personalized according to the requirements of each particular customer. We take care of all formalities, translations and coordination of all involved parties. Real estate property on the danube river, rural house in the north of Bulgaria or land in Bulgarian contrysite? Whatever is the property you are dreaming for, a service of our real estate company RealestateinBulgaria will help you to find the most suitable offers. RealestateinBulgaria is the leader in the real estate market by offering a database with over 1 000 diverse real estate listings and offers throughout the Bulgaria. agents will help everyone to realize their wishes in regard to real estate transactions! Real estate company, together with affiliated companies provides a full real estate business cycle: finding real estate properties in Sofia and Bulgaria (purchase, sale, rent, lease), evaluation, legal support of transaction, maintenance services, land surveying. With over 2 000 successfully executed real estate transactions RealestateinBulgaria is one of the most experienced real estate companies in Bulgaria . Many of our domestic and foreign entrepreneurs and individuals choose to cooperate with RealestateinBulgaria. Selling or purchasing a real estate is a serious step, so we invite you to collaborate with the team of RealestateinBulgaria professionals. The most important advantage from collaboration with RealestateinBulgaria is an exclusive access to the new properties. Find out about new real estate listings in Vratsa, Sofia and Bulgaria sooner than others - before they are available for public display! More than 1000 current offers are waiting for you. Be able to feel safe, because the years of experience and knowledge of RealestateinBulgaria specialists will guarantee that that you are not deceived. Real estate and related sales process is a serious decision to make. If you want to sell your apartment, house or other real estate property at a higher price, then the support of RealestateinBulgaria professionals will help to achieve your goal. Cooperate with real professionals who have over 10 years of experience in the real estate sector. For new housing seekers - daily snapshots of the latest offers on the overses market, professional advice and transaction processing! For landlords - if you have a property and you want to sublet it, RealestateinBulgaria real estate agents will help to create a rental offer, to determine the most appropriate audience for your property and will provide a property demonstration to potential tenants without your presence. 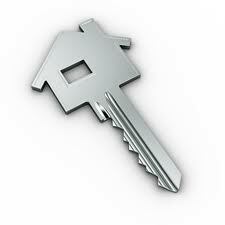 By signing an agreement with the tenant, RealestateinBulgaria lawyers will provide all the necessary docs. RealestateinBulgaria systematically creates objective real estate market reports which will give you and investors an overall picture of the real estate market in Bulgaria. Detailed real estate market overview, market monitoring and market analysis will become the essential basis for your investment project. Real estate is an asset. Act careful with this value and entrust all the real estate transactions to the team of RealestateinBulgaria professionals! Long-term experience, invaluable knowledge of the real estate industry and a full service from start to finish is a guarantee of a successful transaction.